They were making wine here as far back as 1659 (so just a few years, then, after it registered in the European consciousness that New Zealand even existed). The Dutch, via the Dutch East India Company, kicked things off, with a company surgeon planting vineyards to produce wine and fruit to ward off scurvy on the company ships (see? It is good for you). Cape Town is where it’s at, and that’s where you’ll find the likes of Paarl, Stellenbosch and Constantia. The majority of South Africa’s wine regions have a Mediterranean-style climate thanks to the influence of the Atlantic and Indian Oceans. So, intense sunlight and dry heat. And yes, South Africa has embraced the appellation system, known here as the WO, or Wine of Origin, and there are around 60 of them. Here’s the lingo then: WO wines must be made entirely from grapes within the designated area, single vineyard wines must be produced from a holding that’s under 5 hectares and an Estate Wine may come from surrounding vineyards, as long as they are cultivated together and the wine is produced on site. 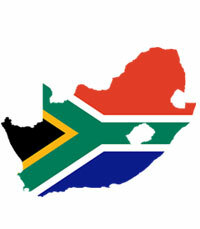 These days the South Africans have upped the quality of their game and cater for more of a global market.